Daytona Beach pickleball players met at Pelican Bay on November 2, a beautiful Friday evening, for a fun time of pickleball, appetizers and conversation. The group was joined by a father who is an avid pickleball player and his 13 year old daughter and her friend. Those young players added another dimension to our game, easily getting each and every ball outside their reach. Play began at 5:00, breaking for some yummy appetizers and drinks at 6:00 and more play after the lights on the courts were turned on. We played until we dropped. We all agreed that we have an addiction. 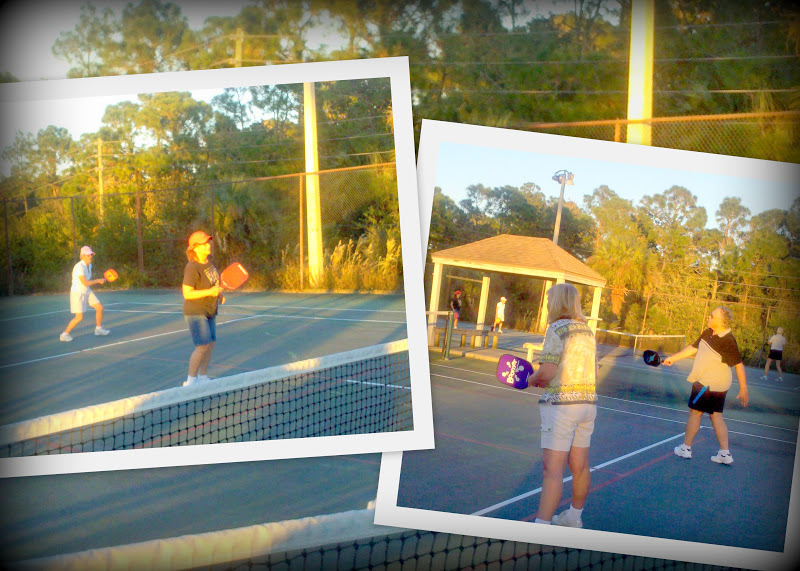 Everyone is looking forward to the next pickleball social.